The incredible technical achievements of recent history may make us feel little less than gods," but we also find much that cuts us down. When we face our own limits and failures, upon what or whom can we rely? The biblical "answer" to questions about the ultimate nature and meaning of human life begins with the experience of Semitic slaves led out of Egyptian slavery beautifully recounted in Deuteronomy 26:5-11. The New Testament presents Jesus as the culmination of God's Old Testament promise. Christian faith has a particular Vision of the world and of humanity founded upon the relationship between God and creation. Its key elements are found in the inviolable dignity of every person, the essential centrality of community, and the significance of human action. 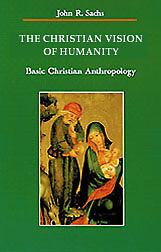 These are the main themes of a Christian anthropology developed in this book.